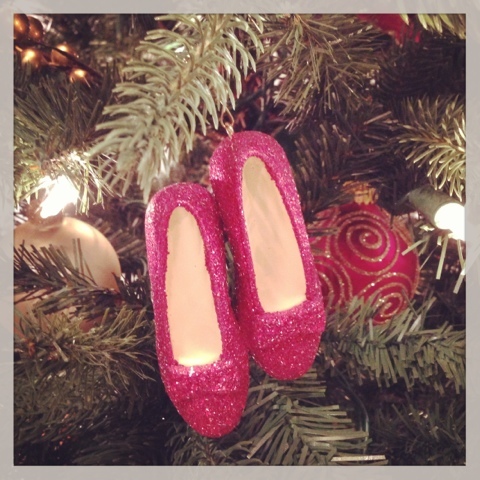 I have had my very own Christmas tree since I was a young girl. It started with a very small tabletop tree loaded with miniature ornaments, and as time went on, it evolved into a 6' tree ... just in my room! When I went to college, the tree and my ornament collection came with me. Talk about a treasure! 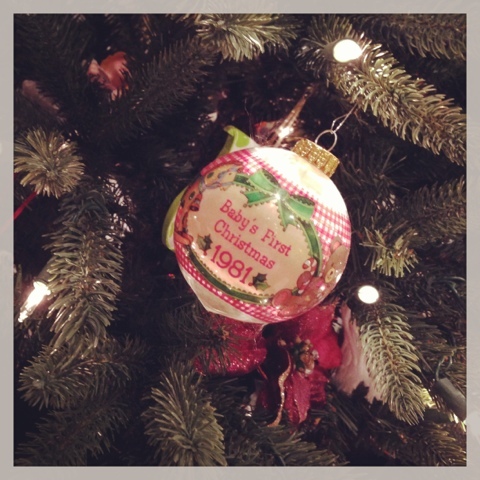 Then, when I got married, Jim & I started with a tree full of ornaments, all while adding our own to it year after year. After our first move to New York back in 2002, we lost all of our Christmas trimmings (among other things), and had to start from scratch. Needless to say, we were devastated. I actually went for 3-years completely banning the mere idea of a tree ...to the point where I didn't even look forward to the holidays. It wasn't until 2004, when Lyla was born, that I succumbed to the intervention orchestrated by Jim & my mom to start a new tree so we could establish new family memories. In other words, it was time for me to get over it! Through the years since, our family Christmas tree has become something I cannot wait to put up. In fact, having a child completely changed my holiday perspective. Trust me when I say, there are few people who have more holiday cheer than our Lyla. She is such a creature of traditions, and when I say the day after Thanksgiving is the day we deck the halls, let it go on record that at 9AM we are on our way to storage to get everything out! This year, we had the bittersweet opportunity to add ornaments to Team Newman's tree after receiving ones from both my brother's collection and my Nana's. I cannot tell you how special our tree is for us this Christmas season. I must admit, I had no idea how meaningful it would be to have both of them represented in multiple ways on the tree. Just another visual reminder to keep their spirits in the forefront. And the stories they conjure in just a single glance. For as hard as it is to go into Christmas this year without these two loved ones, I feel equally comforted. Rest assured it won't be easy, but on Christmas morning, I will celebrate them both when we turn on the lights and wait for Lyla to get up and see what Santa has brought her. Memories are made in these moments! I'm curious to hear about the stories your tree tells ... it's your turn! 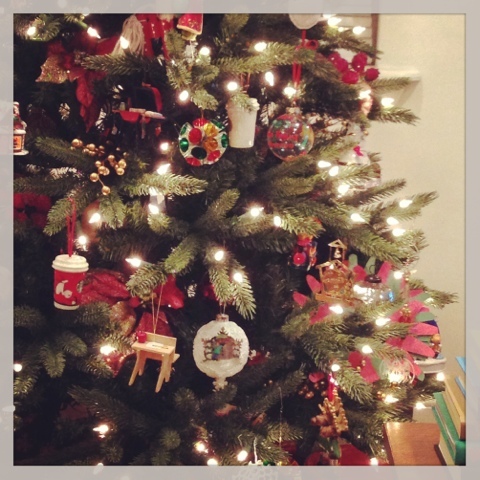 Just a little snap of the tree - of course Jimmo has a Starbucks ornament collection! My brother's first Christmas ornament - and the year I became a big sister! There's really no place like home, is there? 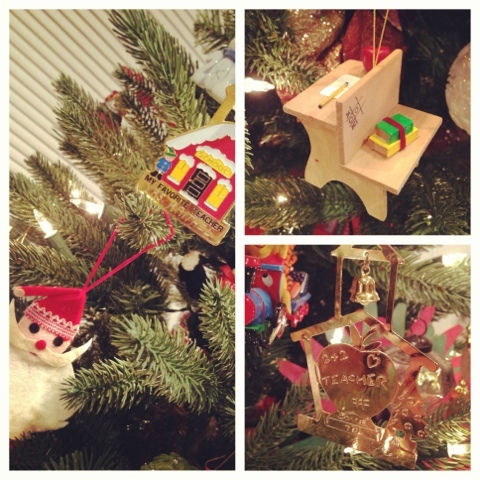 Some of my Nana's ornaments - two of which engraved for her by students. She was an incredible teacher! New ornament given to me by Mom this year. 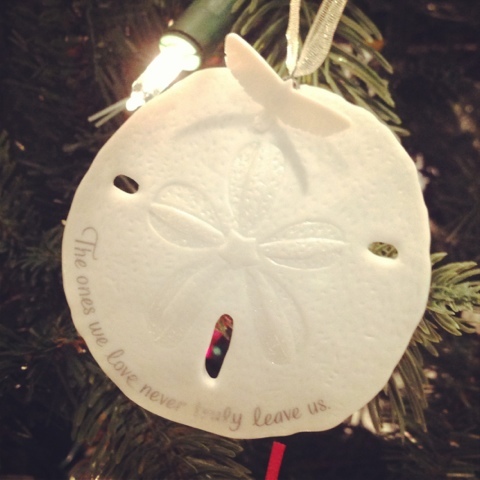 "The ones we love never truly leave us." Certainly poignant this year.